The Easter Day is coming! But our little monkey is not so happy. Find all 100 Easter eggs and make the monkey happy! Click on the screen to interact with the objects and characters. Click and hold to drag items to specific spots to solve puzzles. Try your best to solve all puzzles. This adventure game Monkey Go Happy Easter is free. Visit www.bestgames.pk to play more games! 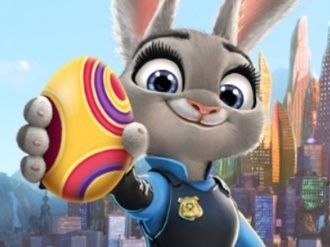 Have a pleasant time with Judy in this Zootopia Easter game in which you will go on an adventure to find all the hidden eggs and gather as many as you can before starting to decorate them for Easter.